We have an exciting opportunity for an experienced leasing and/or conveyancing Paralegal to join our growing Property practice in our Sydney office. This is a full-time 6 month fixed term position. You will have the opportunity to work directly with our experienced Property Partner and team which specialises in acquisitions, sales, leasing, titling, joint ventures and development work. This is a high volume, fast paced role so an ability to maintain an excellent level of service under pressure is essential. To succeed in this role, we are looking for someone who is passionate about property law and has previous experience managing high volumes of leasing and/or conveyancing files. You will have a high attention to detail, a sharp mind, be an excellent communicator and dedicated to provide exceptional customer service to our commercial clients. Your ability to work collaboratively will see you shine in this role, with a willingness to work autonomously when needed. With over 1,500 lawyers in 47 offices and 20 countries around the world we are one of the world’s top legal practices. 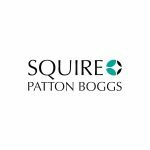 Squire Patton Boggs is a progressive and growing firm with a strong integrated global platform. With our longstanding ‘one-firm firm’ philosophy, we work together to build trusted relationships globally with each other and our clients, giving our clients the best we have to offer. We strive to be a dynamic and inclusive workplace, promoting a productive and supportive culture where everyone is encouraged to live our firm values and be accountable for our actions. Our core values of Collaboration, Professionalism, Excellence, Diversity, and Responsibility, have been created directly by our people and it is being accountable for our values that make them really work. Clients recognise us as being different to other law firms; that it is being Commercial, Connected and Committed that differentiates us and what they want to be a part of. So join us today and be part of our amazing culture! You will also enjoy a range of staff benefits including: discounts on various products and services, ongoing training and development, a corporate health and wellbeing program including an annual health and wellbeing allowance, Friday night drinks and other firm sponsored events, one paid volunteer day per year, and more. We prefer to deal with you directly. Please submit your CV for consideration by clicking on the ‘Apply’ button below. If you would like further information, please contact Hannah Robins on +61 8 9429 7401 for a highly confidential discussion. Please note, to be eligible to apply for this role you must be legally permitted to work in Australia. Squire Patton Boggs is an equal opportunity employer and encourages Aboriginal and Torres Strait Islander people to apply.